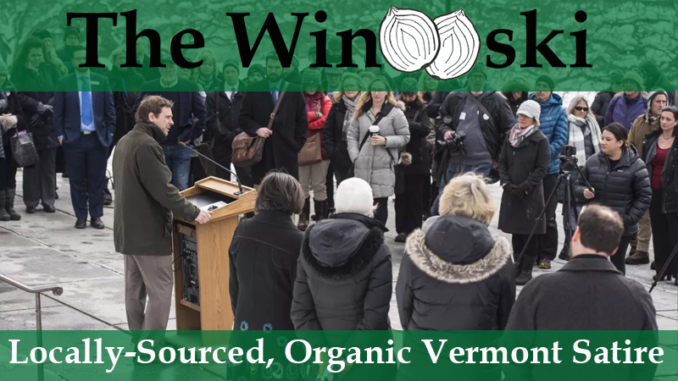 MONTPELIER – Turnout in previous years has reportedly been much higher for the annual Homelessness Awareness Day and Memorial Vigil held each January at the State House in Montpelier. Service providers, housing experts, and concerned citizens typically gather outside to join the minds and voices involved in working to end homelessness, but this year the frigid temperatures may have kept some people away. Several others expressed similar concerns about holding the event, wondering if it should have been delayed until the weather was more cooperative. The homeless community had no response to these concerns, saying only that they had no strong opinion as to what date or time the event was held.